Zenith Pilot: Type 20 Extra Special 'Ton Up' Automatic Aged Steel Case Slate Grey Dial Watch 11.2430.679/21.C801. Pilot watches from Zenith have been developed and designed at the company’s manufacturing house in Le Locle. Infused with distinct characteristics, these special timepieces will appeal to aviation enthusiasts and Zenith watch collectors alike. The movements fitted inside the cases of these watches offer a high frequency rate and a 100 or 50 hour power reserve. Many distinct characteristics from Zeniths original pilot’s watches have been brought through to these modern designs; the black dials with luminous detailing, rotatable bezel with triangular markers and a large crown to name just a few. 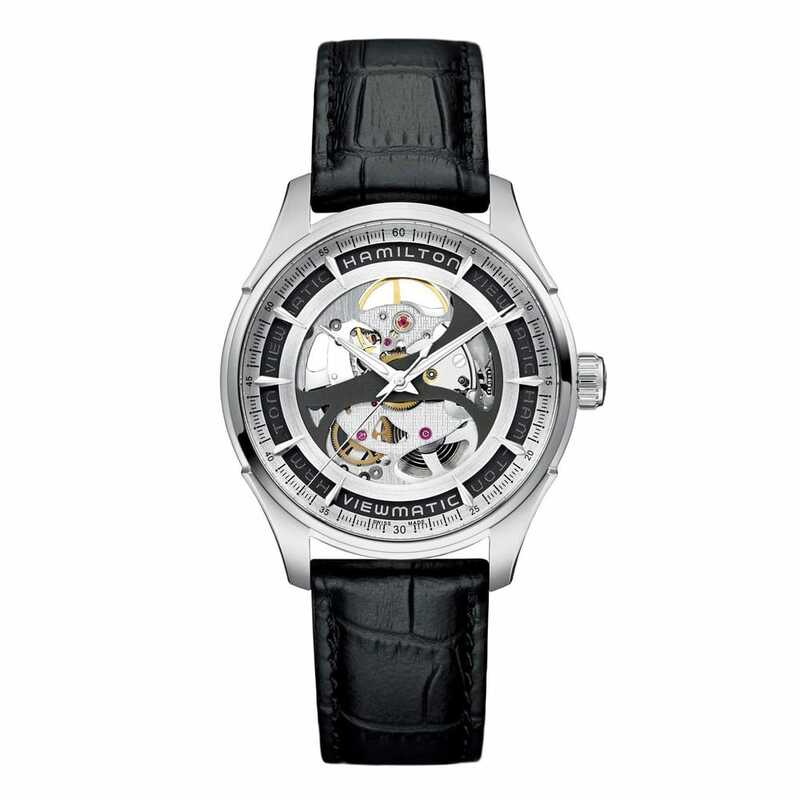 That said, Zenith watches are varied in the features that they showcase. Whilst some gentlemen will make use out of an annual calendar, others feature a sporty chronograph dial. The large crown makes adjusting the time effortless and the broad diameter of the watch cases are sure to attract the attention of those with a shared interest in aviation tools. This classic yet authentic-looking Pilot watch from Zenith features a broad slate grey grained dial adorned with large Arabic numerals and chunky central hands filled with luminescent technology. The timepiece is crafted from a 100 meter water resistant aged stainless steel case which provides optimum protection for the internally fitted movement. The independently crafted Elite 679, automatic movement provide an impressive 50 hour power reserve and comprises a total of 126 individual parts – all of which are hand assembled by an expert at the company’s manufacturing facilities in Le Locle Switzerland. The watch is completed on a stylish oily brown nubuck strap with protective rubber lining and a titanium pin buckle for easy dressing on and off the wrist.